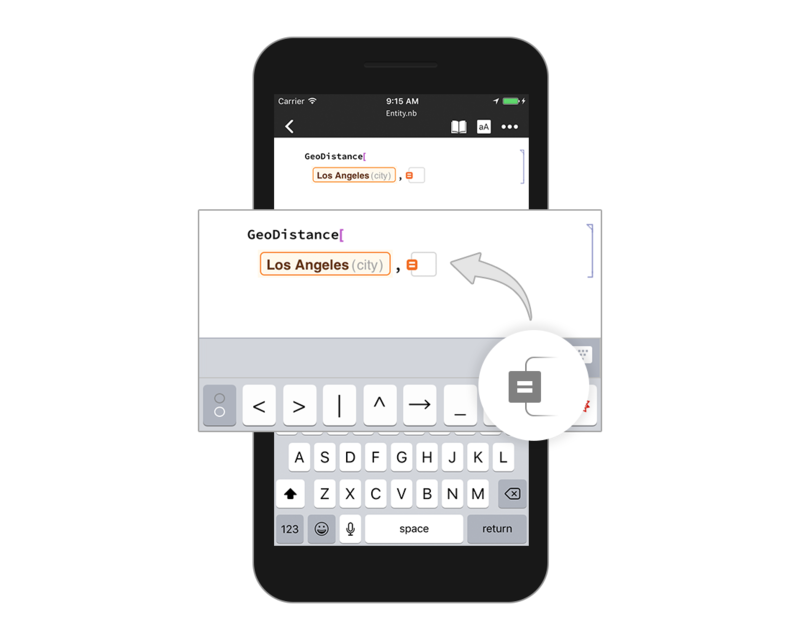 Get the full power of the Wolfram Cloud on mobile. 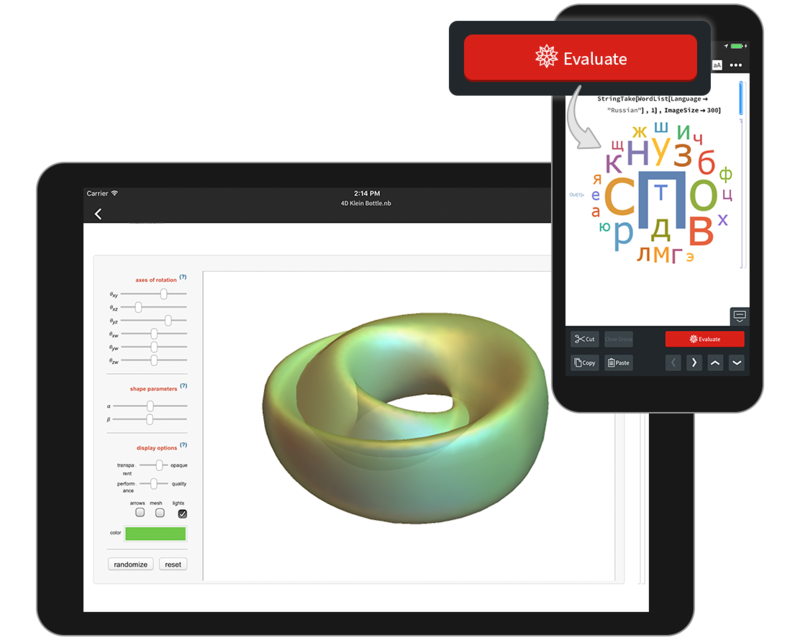 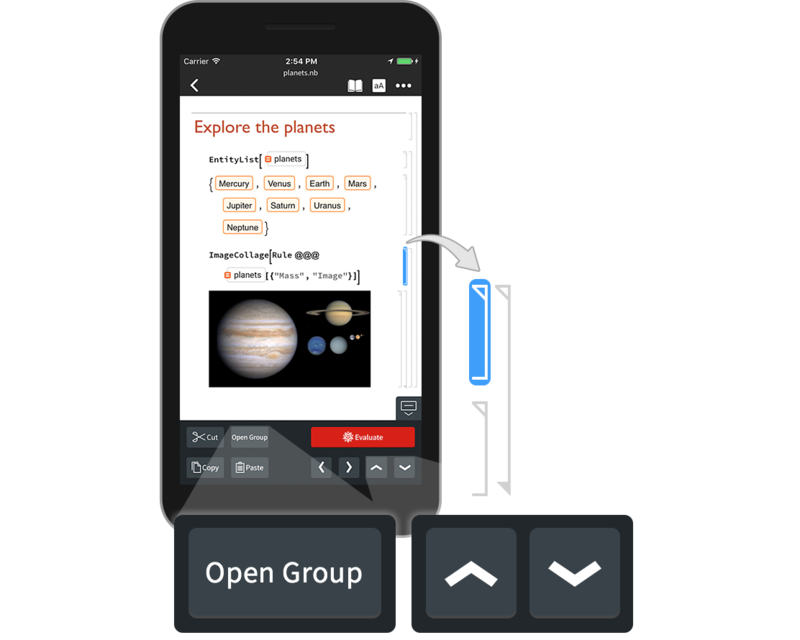 The Wolfram Cloud app provides a touch-enabled interface to Wolfram notebook documents. 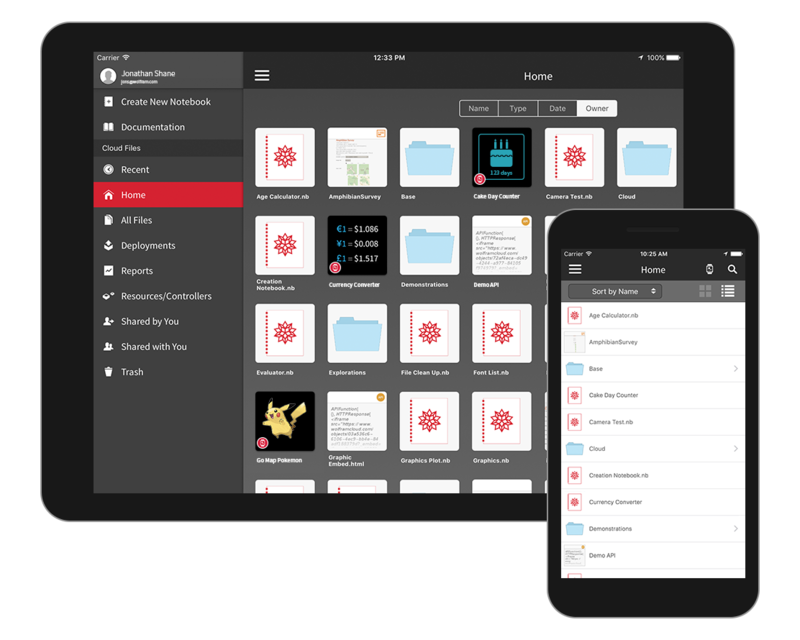 Access Wolfram Cloud instant apps through a home screen–like experience. 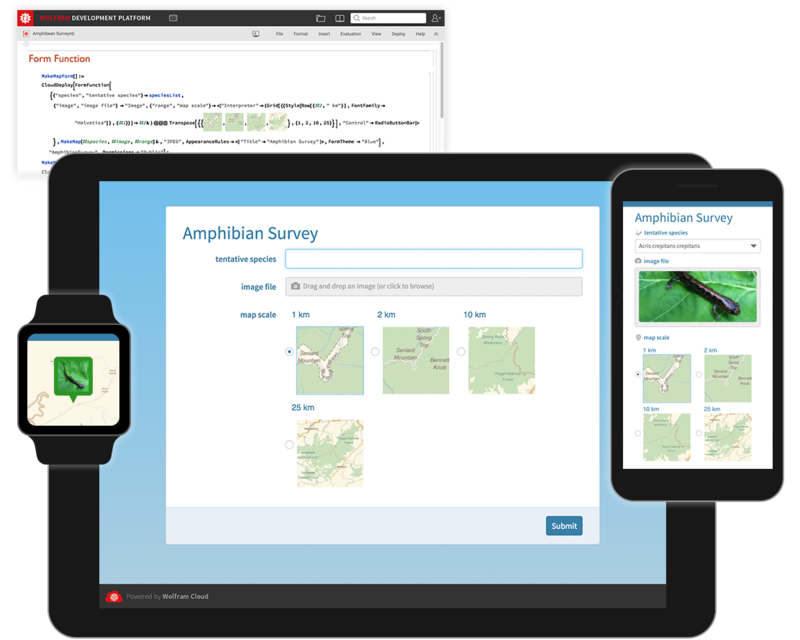 Deploy mobile-optimized interfaces directly from the Wolfram Language with input from a camera, GPS, etc. 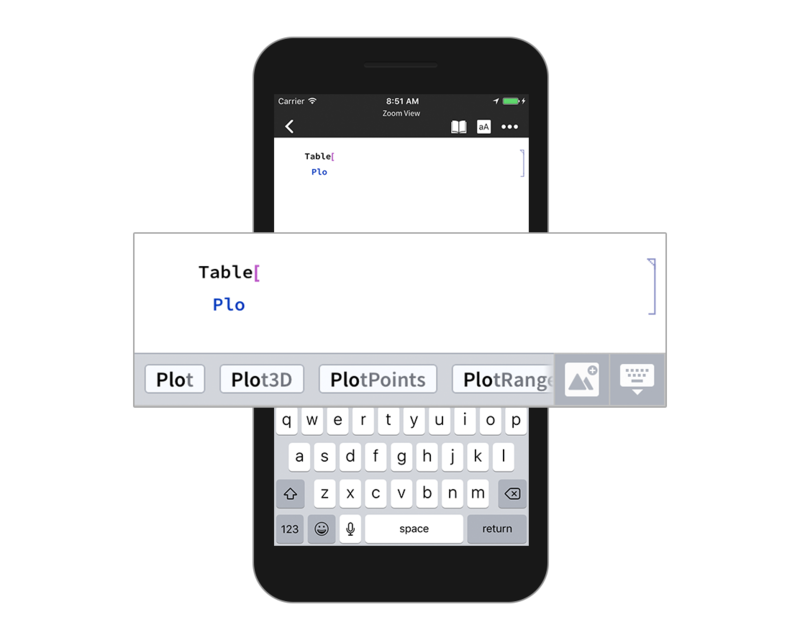 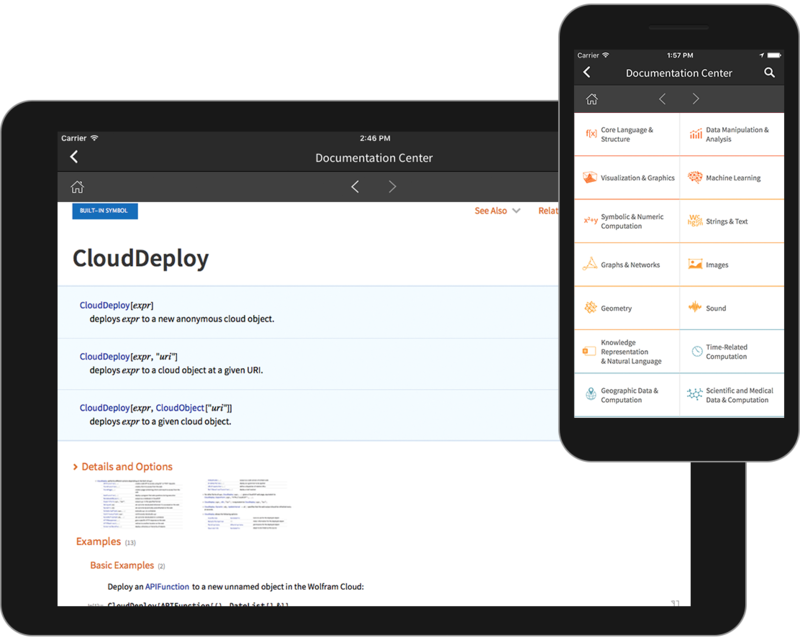 The Wolfram Cloud app makes it realistic to write and deploy programs, even on a phone.